We make great games we love to play. 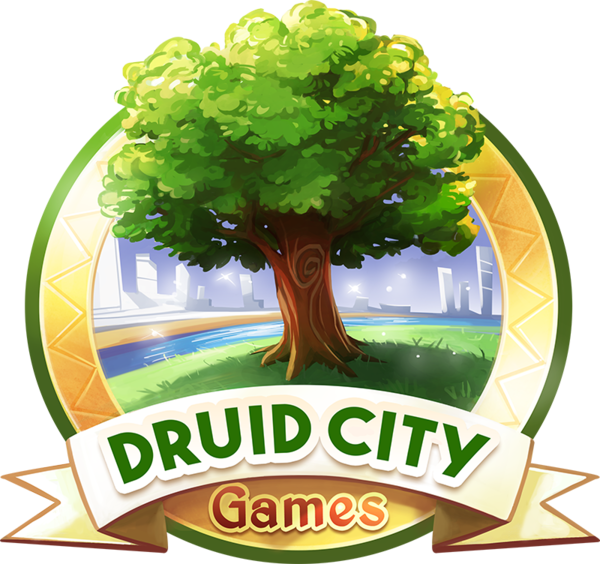 We at Druid City Games work with some of today's best board game designers, artists and developers to create board games that you will enjoy playing with your friends and families for many years. We strive for high level production quality and work closely with our teams from start to finish to provide the best value for our gamers. Our Families Are Becoming Smartphone Zombies! The average American spends five hours a day on their smartphone. We are addicted to notifications, texts, and emails. The next generation, mainly our children, are going to be completely dependent on their devices if we don’t do something. If you are like me, you are tired of hearing “I am bored." So what is our solution? Yes, Monopoly and Risk were fun 25 years ago, but there is a whole new world of games that are enjoyable and easy for all ages. Unite your family by leaving the couch and gathering around the table. Cultivate social skills, build critical thinking, and strategic skills. Engage your family and friends in something really fun, seriously. They will start asking you to play board games. You won’t have to beg them! It sounds daunting to start a new hobby, we know, but we are here to make it easy for you! We have all the info you need to get started. Turning off the electronics and gathering around the table. We love a good video game, but maybe you need a few good suggestions to get your board gaming hobby jump started. Look no further, in the video below we cover 4 great games that any collection should have!